Happy Sunday! I hope wherever you are Spring has sprung and you're out spending the day with friends and family. 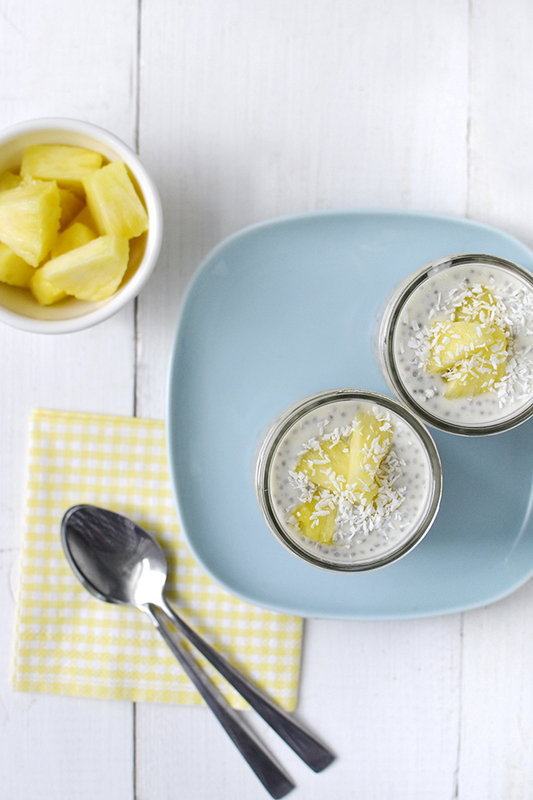 But if the weather's still crappy and you're all alone today you should try this pineapple and coconut chia pudding - it'll make you feel like you're in the Caribbean sipping on a pina colada! Well kinda. 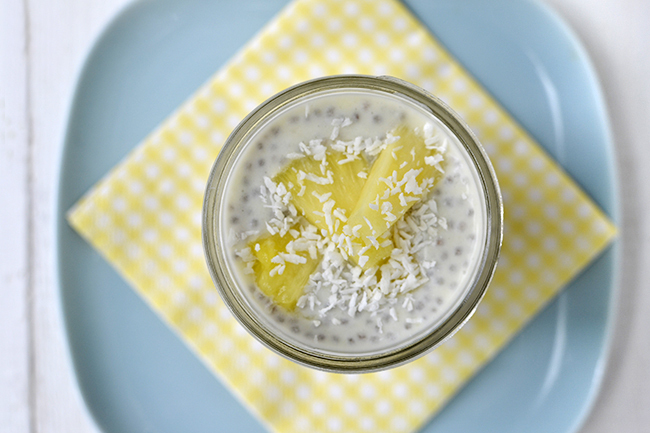 I made this recipe a couple weeks ago and fell instantly in love with chia pudding. It's so easy to make, the only hard part is waiting for it to get pudding-y. But it's also the most fun part. Because that recipe is made with coconut milk I thought it would be interesting to try it with pineapple instead of lime - and it was! I love spooning it into jars because then I can bring it with me on the go. They would be so perfect for picnics, wouldn't they? 1. 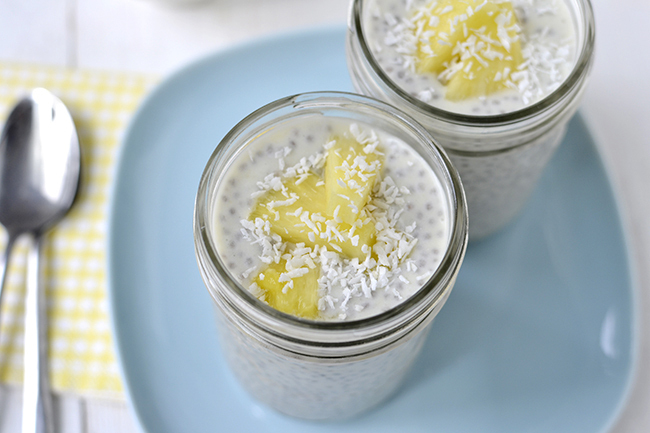 Pour coconut milk into a mixing bowl or glass container. 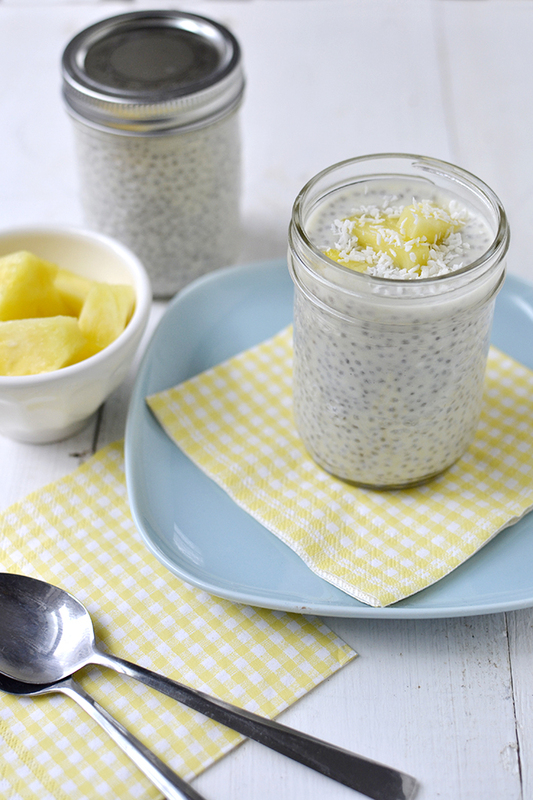 Add the chia seeds and honey and stir until dissolved. 2. Cover with plastic wrap or the lid and place in the fridge for 4 hours or overnight. 3. 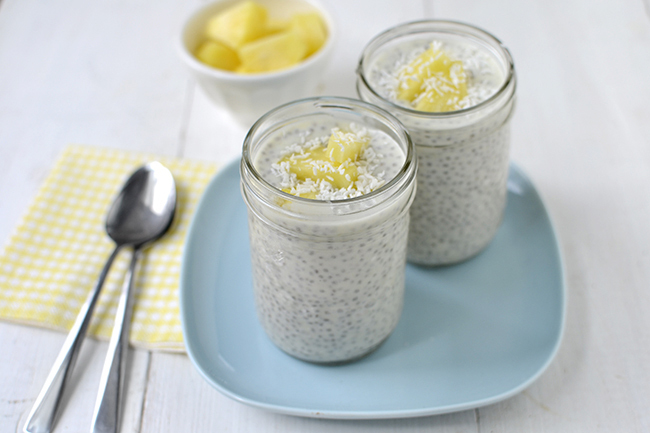 Give the pudding a stir to make sure the chia seeds are evenly dispersed. 4. Blend the pineapple if making the juice that way and add in 1 tbsp at a time until you get the desired sweetness. You don't want to add too much liquid or the pudding will be too runny.